Minister of Finance, Jacob Jusu Saffa, has met with senior officials of Indian Government, Indian EXIM Bank and many other CEOs of Indian companies on October 8-9 in the prestigious Sheraton Hotel in Abuja. 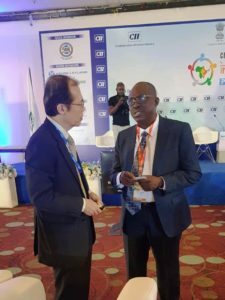 The meeting dubbed CII-EXIM Bank Regional Conclave on India and West Africa brought together West Africa ministers, senior officials of governments of India and West Africa countries, CEOs, diplomats and potential investors. The purpose was to discuss challenges and opportunities for strengthening cooperation between India and West Africa and specifically to increase on foreign direct investment (FDI) flows to West Africa from India and expand both imports and exports from all sides. The Discussions covered investments in energy, manufacturing, education, agriculture, ICT and the environment. Jacob Jusu Saffa had bilateral discussions with senior officials of India including Minister of State, Commerce and Industry and Deputy Managing Director of the EXIM Bank of India. In the discussions, the Minister of Finance was able to successfully negotiate the reactivation of two pipeline projects in agriculture and water sectors which were about to be cancelled due to the failure of the last regime to prepare proposals to access funding. The projects include a US$30 million project for agriculture in Tormabum and a US$15 million four town water supply project. Mr. Saffa is expected to link with respective sector ministries to flesh out proposals to access funding for those projects. Also, a US$78 million Transmission and Substations Energy project has recently been approved but await detailed project design. The Minister further discussed preferential trade facilities with the Indian Government and presented priorities of the Bio administration, education and training, agriculture, tourism and marine. 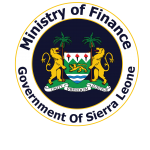 As usual, he elaborated on the opportunities in those sectors and called on Indian Investors to come to Sierra Leone.